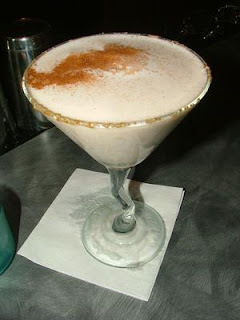 Last December, while eating at one of our favorite local dinner spots in historic downtown Belmont, I discovered one of my favorite festive cocktails....The Gingerbread Martini! Since then, I've been looking forward to making them myself this holiday season. Mix together in a shaker with ice then pour into a martini glass. Feel free to add whipped cream and gingerbread cookie to float on top. It's by far the most delicious treat in a drink!